View cart “BMX Bandits [Blu-ray]” has been added to your cart. One of the most chilling films to ever come from Amicus Productions. 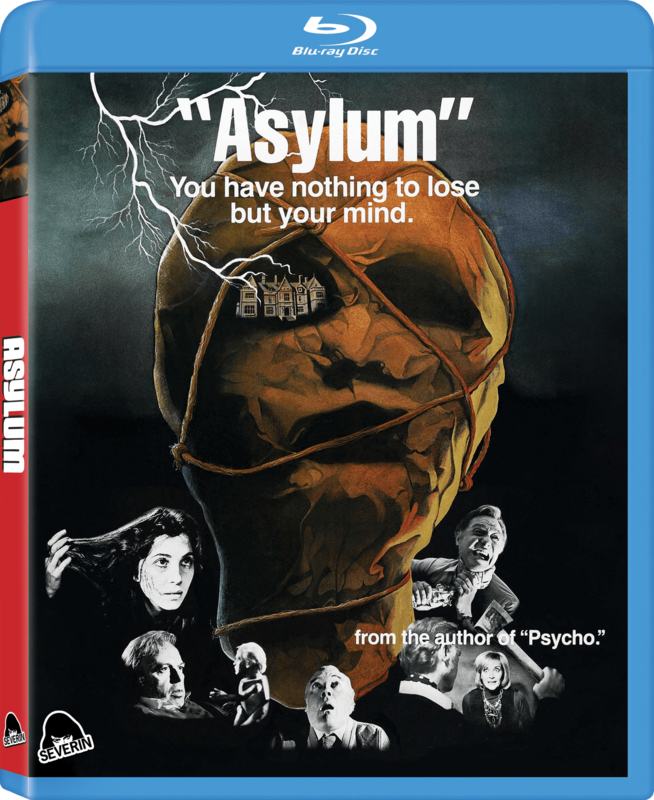 Severin Films is proud to present the Blu-ray release of the Amicus Productions Horror Anthology classic Asylum. One of the best anthology films that Amicus produced with a stellar cast (Barry Morse, Peter Cushing, Patrick Magee, Richard Todd, Herbert Lom, Britt Ekland and Charlotte Rambling), “Asylum” scared the heck out of me as a kid and made such an impression that, for one of my first short stories, I wrote a sequel to Robert Bloch’s script. Director Roy Ward Baker does an exceptional job using off kilter angles, claustrophobic compositions an unbalanced compositions to add to the dread in the film. It’s not his most accomplished (that’s still “Five Million Years to Earth” aka “Quatermass And The Pit”) but remains a successful contemporary gothic horror film. The transfer done by Severin looks a soft and the colors aren’t quite as strong as I had hoped but I’m not sure what condition the negative is in and, while there hasn’t been an extensive restoration of the film, the transfer is largely blemish free. Blacks are solid throughout and, while there isn’t a huge amount of fine detail part of that could be due to the choices made by the director and cinematographer including the use of filters to soften some of the footage. The audio is clear throughout with dialog up front. The mono mix sounds quite nice. Severin brings in the original special features from the Dark Sky DVD as well as author David Suchow discussing his friendship with writer Robert Bloch. “Inside The Fear Factory” features film directors Roy Ward Baker, Freddie Francis (who helmed quite a few Amicus and Hammer productions) and producer Max J. Rosenberg. There’s also a new featurette with Fiona Subotsky the widow of producer Milton Subotsky discussing his career. The audio commentary featuring Baker and camera operator Ned Binney discussing the making of the film. Rounding out the special features is the spoiler filled trailer (which hooked this kid to want to see the film). 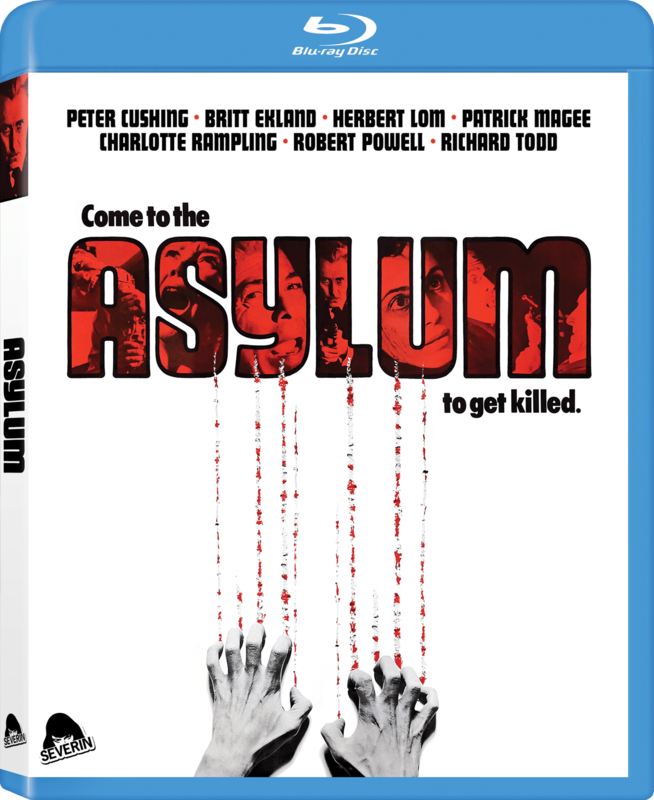 Although the film clearly looks its age, “Asylum” remains a fun horror film. Severin do a nice job of combining new and older special features for this set. Recommended.